Matsuri Hino’s manga, Vampire Knight, has an official trailer for it’s sequel which would be composed of another 13 episodes. I think it would cover the [SPOILER – highlight to view:] Rido arc and some things continuing that arc. It means there would be more Shiki-sama and Rima-sama!!! Wooot! 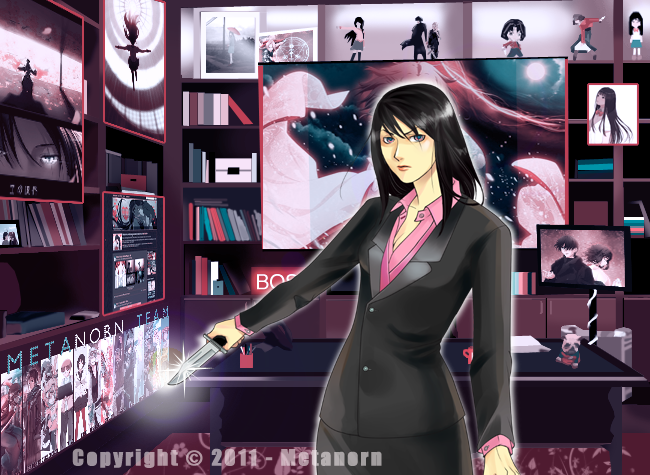 I think the promotion pic is cool with Yuki’s scythe facing you! And last but not the least, look at Yuki’s long hairdo… Whaddya think? And here’s the trailer. The first music played in the trailer is entitled “RONDO” sung by twin brothers ON/OFF, who also sang season 1’s OP. The second song: Suna no Oshiro is the ending theme. It is sung by uber-talented Kanon Wakeshima again ^_^ who sang ‘still doll’ from the first season. I found it more creepier to listen to than ‘still doll’, which means it is unusual to loop it on an iPod but it still maintains the gothic and alluring aura. 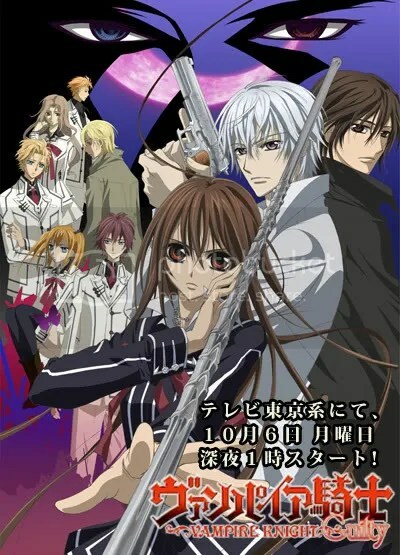 Vampire Knight Guilty airs October 6.